Tiemoue Bakayoko - Forget Nemanja Matic this guy has it all and will prove to be so much better. Chelsea have faced plenty of criticism over the sale of Nemanja Matic to Manchester United. Just a few months into the season, it's clear that Chelsea have bought an even better replacement in Tiemoue Bakayoko. After an excellent season at Monaco last term, Antonio Conte and the Chelsea board made a decision to spend big to bring Bakayoko to Stamford Bridge. 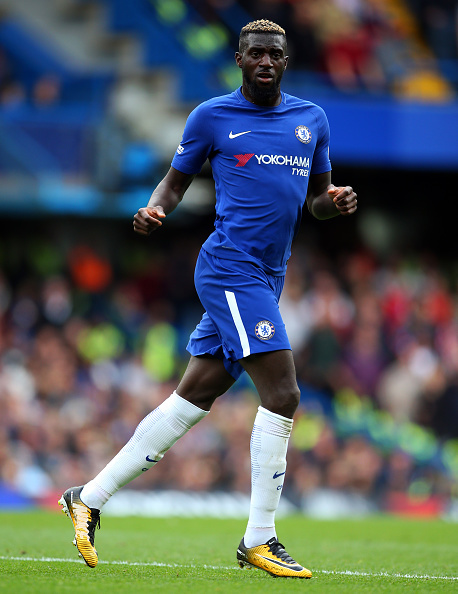 At a cost of £40m Bakayoko joins Chelsea with great expectation on his shoulders as the man to play in tandem with N'Golo Kante to give Antonio Conte's side the solid blue wall in the middle of the pitch. It's fair to say that Antonio Conte has chosen to take his time to implement Bakayoko into the team with Wednesday nights performance against Atletico Madrid being the obvious highlight so far. On the night Conte deployed Bakayoko and Kante in a three-man midfield alongside Cesc Fabregas and the result was perfection. Bakayoko played as the pivot within the midfield with Fabregas starting to his left and Kante to the right. He played as the deeper lying midfielder with others allowed to push forward and support when possible. Without the ball, all three players got themselves back behind the ball, hassled and harried Atletico Madrid to win the ball back and generally had the upper hand on our hosts the whole night. This of course had followed our excellent victory over Stoke at the weekend and in that game, Antonio Conte played with two attacking midfielders supporting Alvaro Morata leaving the Bakayoko/Kante partnership as our two in midfield opposed to three against Atletico. I really believe that we have got ourselves a genuine world class midfielder here as a direct replacement for Matic. He is tall, strong, imposing and athletic just as Matic is but with Bakayoko you can already see that he has an eye for danger, better than Matic and steps up to win tackles. He won all five of his attempted tackles on the night on Wednesday and as the new chant that has been established for the leggy French midfielder says, he doesn't give the ball away. It's early days but people like us that know our football have an instinct about a player which generally isn't wrong based on watching the game for years. I have such an exciting instinct about Tiemoue Bakayoko and genuinely believe that he could become such a vital and important part of our team over the next few years, developing his game under Antonio Conte to become one of the most impressive midfielders in world football. Who needs Nemanja Matic when we have Tiemoue Bakayoko!